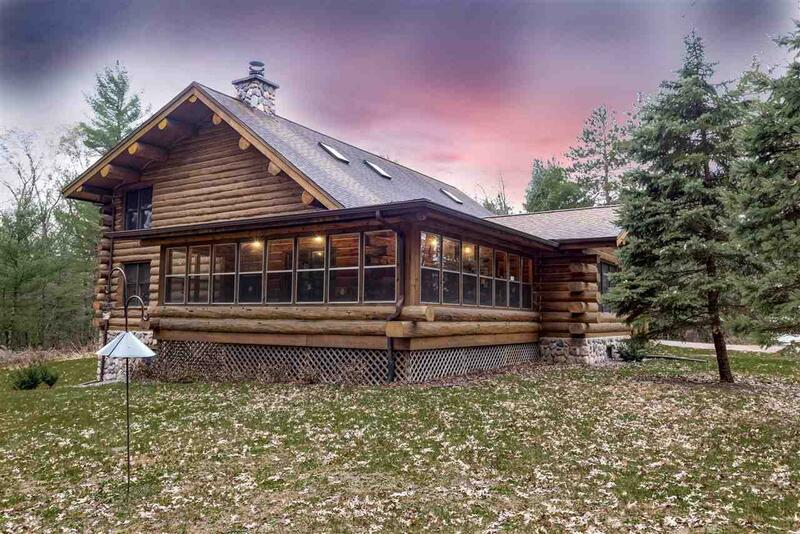 Neshkoro-snug in 5 wooded acres discover this enchanted Montana log constructed home 3bedrooms,2 baths plus endless options for the full walkout lower level. 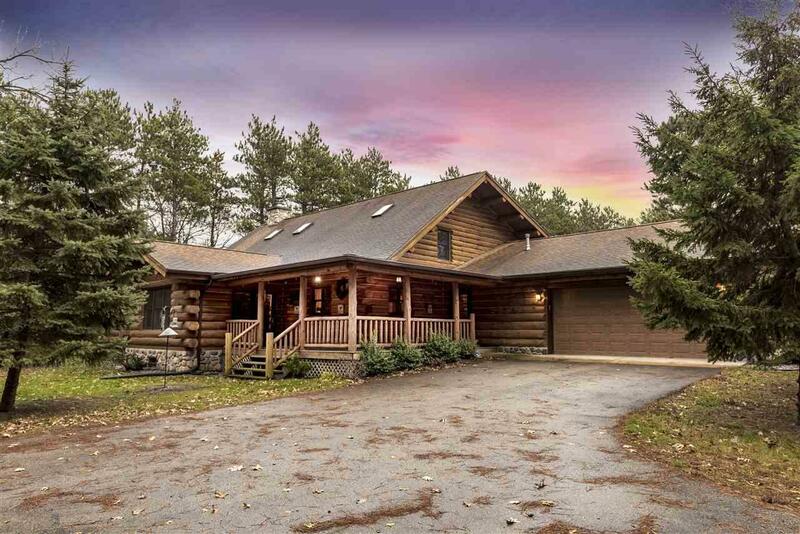 Dreamy designer kitchen has an abundant amount of rich Hickory cabinets,island,pantry.Open 2 story log staircase.Open balcony area,skylights,rustic and roomy.Enclosed wrap around porch, plus open covered porch.2car heated attached garage.Plus detached motorhome storage bldg. 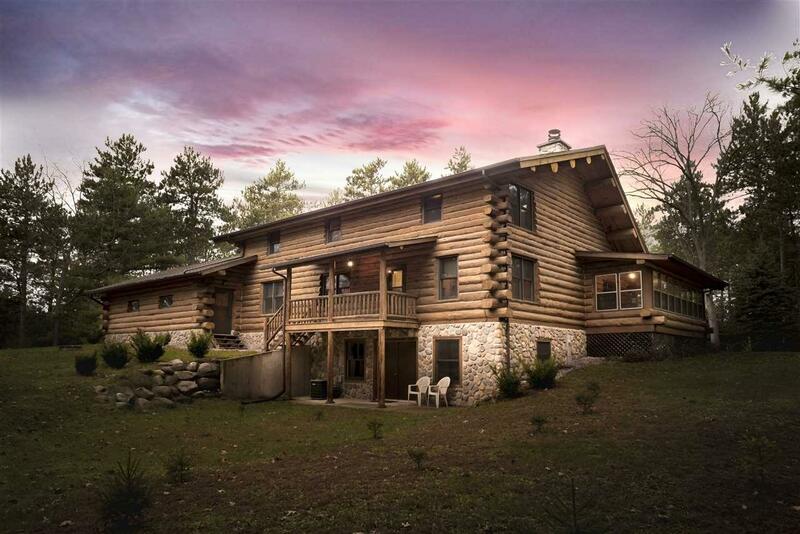 Words cannot describe this wonderful log home snug in the middle of 5 wooded acres. 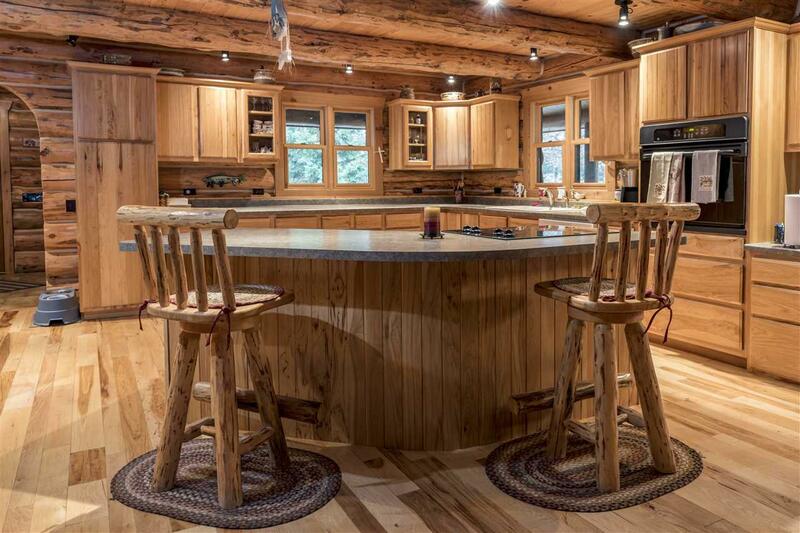 Must be seen to feel the quality and amazing value. Call now.